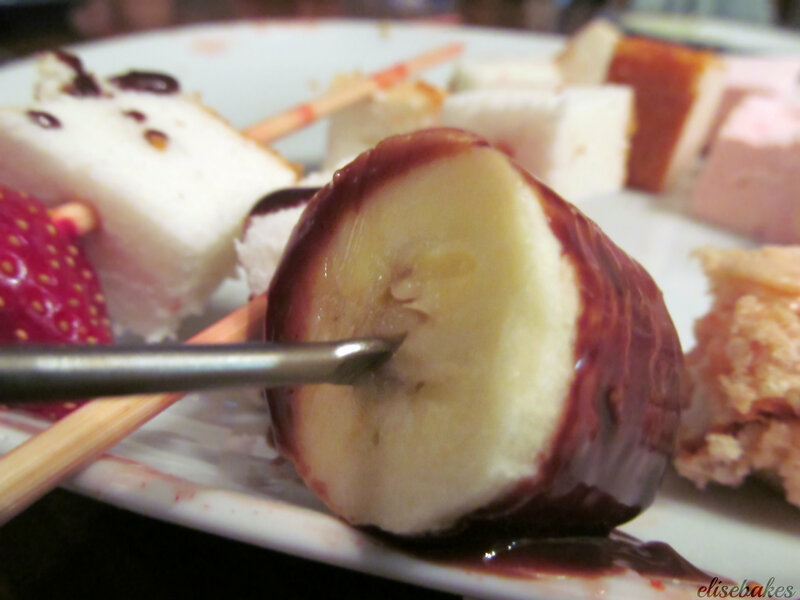 Fondue is the probably my favorite way to celebrate Valentine’s day – or pre-celebrate in our case. 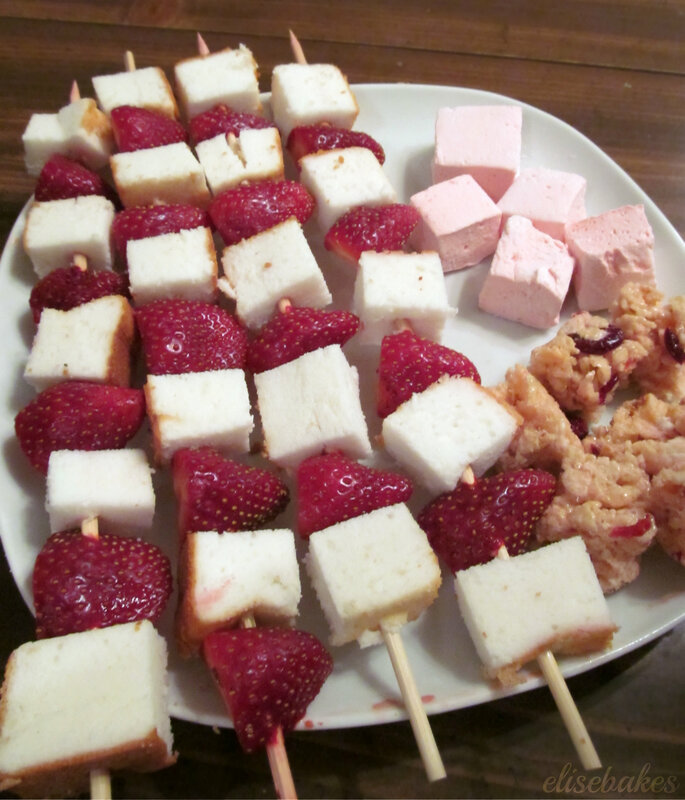 We needed to eat up the last bit of strawberries that have been hanging out in the fridge, so I put together some strawberry shortcake skewers. We didn’t stop our dipping there though, we added some strawberry marshmallows, bananas, and rice krispies treats into the mix. It was a great way to spend our date-night-in last Thursday! Follow your fondue pots instructions, they should read something like this. Add heavy cream and milk to fondue pot and heat on 4 1/2 until bubbling. Reduce heat to 3-3 1/2 and add chocolate chips ~1/2 cup at a time, stirring with a whisk (plastic is ideal so you don’t risk scratching the inside of the pot). When the chocolate is completely melted, turn heat down to 2 1/2-3 to keep it warm. Notes: You can add in 1/4 cup of liqueur for flavor if desired, just add it after the chocolate chips have melted and give it a stir. You can use any kind of chocolate chips or chopped chocolate; it’s a great way to use up the half-full bags sitting in the pantry! Thanks, it made for a perfect evening!